DTIB University offers product trainings and associated quizzes to ensure you are performing testing that is in line with industry and manufacturer recommendations. You can either go to DTIB University to train on our products and take the quiz, or an administrator may assign you a product training(s). To train on our products and take the quiz on your own, please use the DTIB University Product Trainings page to browse through available material. If you want to receive a Certificate of Completion, you must take the quiz associated with the specific product training. 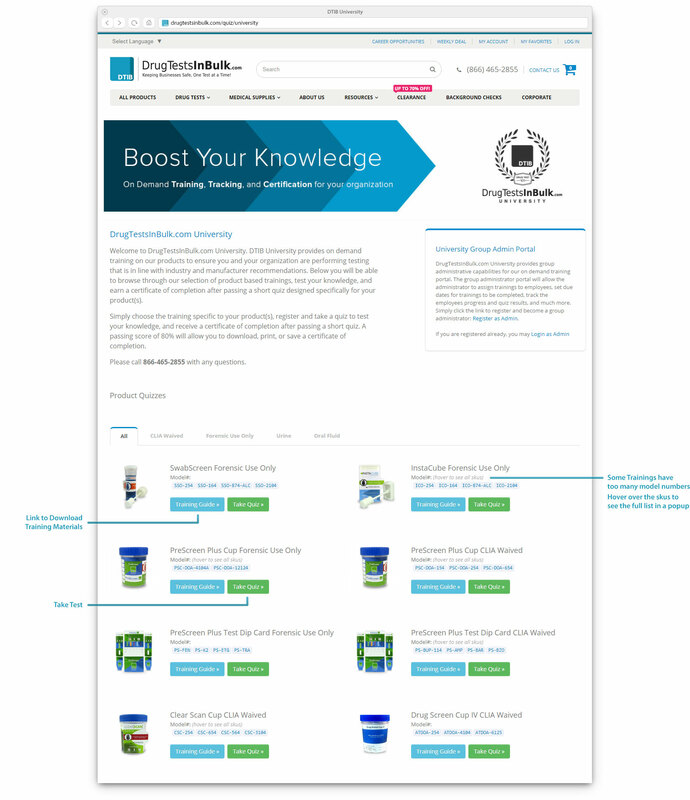 To review training materials on a specific product, simply click on «Training Guide» next to desired product training. All materials are in PDF format, so you can download and save it to your computer for future reference. To take the quiz, click on the «Take Quiz» button. You will be asked to fill in your contact information. Once you fill in the info and click the «Next» button, the system will send you a confirmation link to verify your email. Please open the link to continue to the desired quiz. If you have already taken another quiz and verified your email, the system will take you directly to the questions. In addition to self-training and testing, a Group Administrator may assign you training materials and quizzes. If this is the case, you will receive an email with a link to the materials and appropriate quiz. Group Administrators will be able to view your score and download your Certificate of Completion. The minimum required score to pass is 80%. If you're unable to pass the quiz, you may review the materials and take the quiz again. There are no limitations on the amount of quiz attempts. 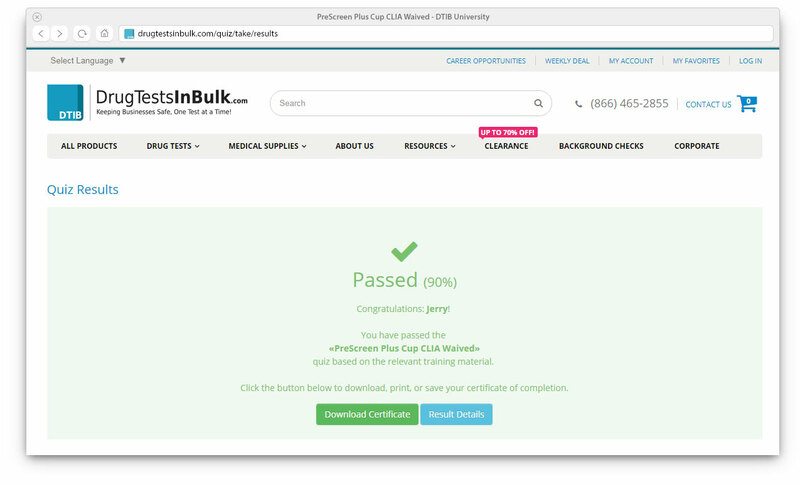 Once you receive a score of 80% or higher, you will be taken to the results page where you can review your results (if any questions were answered incorrectly) and download a Certificate of Completion. 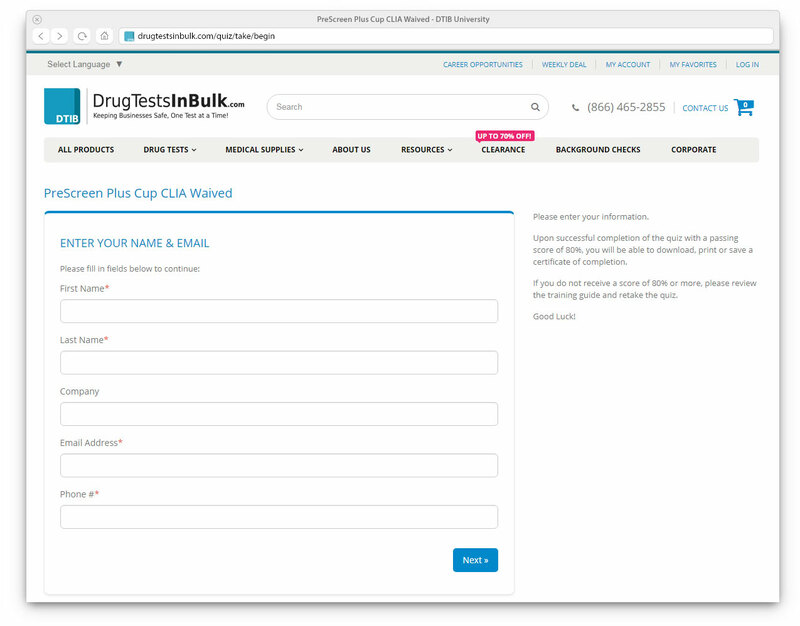 If you were assigned a training by a Group Administrator, your results will display in the Administrator's portal as well.